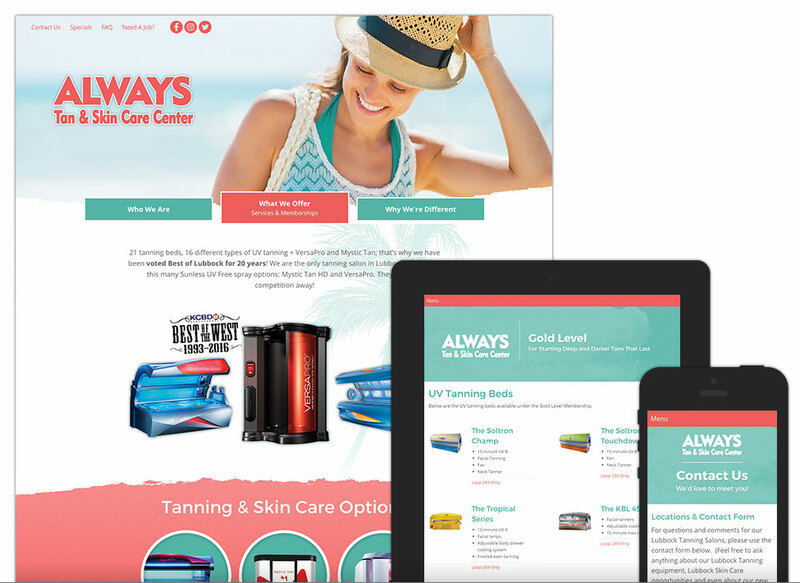 The website design for Always Tan was incredibly rewarding. It involved some challenging visual dilemmas that pushed our boundaries. We love when clients have specific needs but trust us to find the right solutions. The color palette was a major shift from the older version of the website and the visual energy was greatly increased. The variety of information on this site encouraged a unique set of website page layouts. But since we build our websites 100% custom, solutions are better tailored to the needs of our clients.